Feel at home, wherever work takes you. Living in one city and working in another can make home feel far away. Live comfortably where you are. Meet Andrew. He’s a professional hockey player who rents furniture from CORT every season. Andrew is no stranger to living in different cities every year. He moved away from home at sixteen to pursue his professional hockey career and has been on the move ever since. He spends his summers at home in Canada, training. When hockey season begins, Andrew moves to his assigned team’s city for six months while he plays. Moving from city to city allows Andrew to stay focused on playing at his maximum potential, but can also feel like he’s living out of a suitcase. 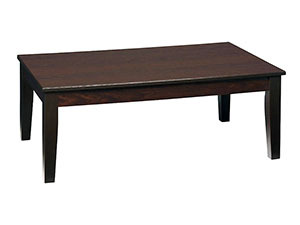 In an effort to feel more settled, Andrew uses CORT to furnish his short-term apartment. That way, when he steps into his apartment after being on the road playing in cities across the U.S. and Canada, he feels right at home. Not sure how long your assignment is? 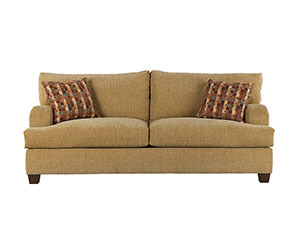 CORT has flexible lease term options that allow you to keep your furniture as long as you need it. Whether you’re staying for three months, a year or longer, CORT helps you find the best match for your assignment. You can even extend your lease if your assignment takes longer than expected. We know you’re coming from another city. CORT makes it easy to arrange for your furniture package to be delivered and installed before you arrive. Your prompt, professional delivery includes a complete furniture package setup down to the last pillow, lampshade and spoon. Feel at home the moment you arrive. "I get relocated about once a year. Renting furniture makes sense for me because I don’t have the luxury of bringing furniture where I’m going every season. It’s just nice to settle in." Wrapped in a tan/beige fabric with a decorative duet of multi-colored throw pillows, the Phoenix commands attention in casual or formal settings. 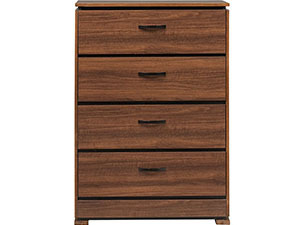 The Clarence chest features black detailing around the top and bottom and between the drawers accented by sleek black drawer pulls. 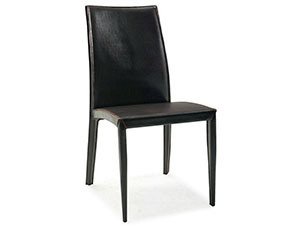 Wrapped in brown leather from top to bottom, these Glide Dining Chairs have a curved back and slim silhouette. 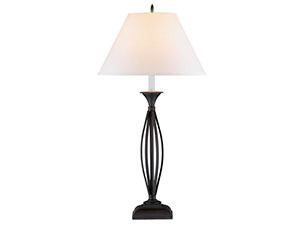 The Strap Iron table lamp has a bronze finish and the elegant stretch pleat lampshade makes it good fit for a bedroom. Wood grain detailing and a soft sheen give the Dakota Skyline cocktail table a warm, inviting glow, complimenting any contemporary living room. 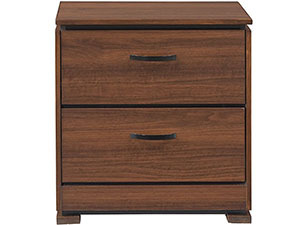 The Clarence nightstand features a glossy brown veneer with a black inset surrounding the top, drawers and bottom.